I was turning right from Cedar Bluff onto Kingston Pike recently, when I heard an ad for Saf-T-Rounds on the radio*. I had seen these advertised on the web, and wondered how well they work. Imagine my surprise, the ad said they are made right her in the Knoxville area! 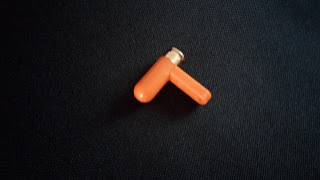 First, the overall concept of these ejectable chamber indicators is that they. 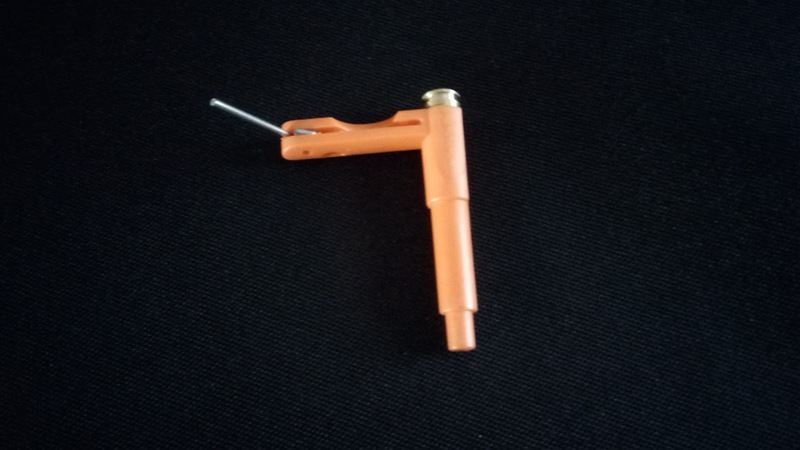 . .
offer the valuable combination of an easy to see load indicator that prevents accidental/unintentional discharge AND the ability to eject the device for instant access to your firearm. 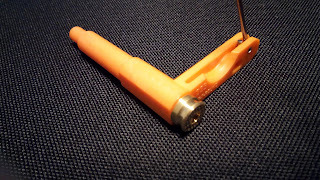 This arrangement would facilitate keeping a loaded magazine in the firearm, with one of these devices in the chamber to indicate an empty chamber. A simple working of the action ejects the Saf-T-Round and chambers a cartridge. I see this as useful in a home defense situation which would allow keeping a firearm in condition three. That is, with the chamber empty. When carried this way with an empty chamber, condition three is also known as Israeli carry. To me, carrying a handgun in condition three is not advisable. An injury to either hand could slow or prevent racking the slide to chamber a round, and defensive situations are too critical to add this unnecessary complication. But, in the home in a quick access nightstand safe, an extra measure of safety would be provided. That is where this device shines. The ideal use, in my view, is with the AR-15 or other long gun locked in a safe with the Saf-T-Round in the chamber, and a loaded magazine in the well. The Saf-T-Round's chamber flag indicates an empty chamber, and can be easily ejected after the rifle is removed from the safe. No need to grab a magazine, because it is in the rifle. Grab the charging handle, pull all the way to the rear, and let go. The Saf-T-Round is ejected, and releasing the charging handle chambers a live round. STR223MT .223 multi-tool. The multi-tool seen in the following three photos has several functions for use with the AR-15. First, it serves as an ejectable chamber flag, as mentioned above. 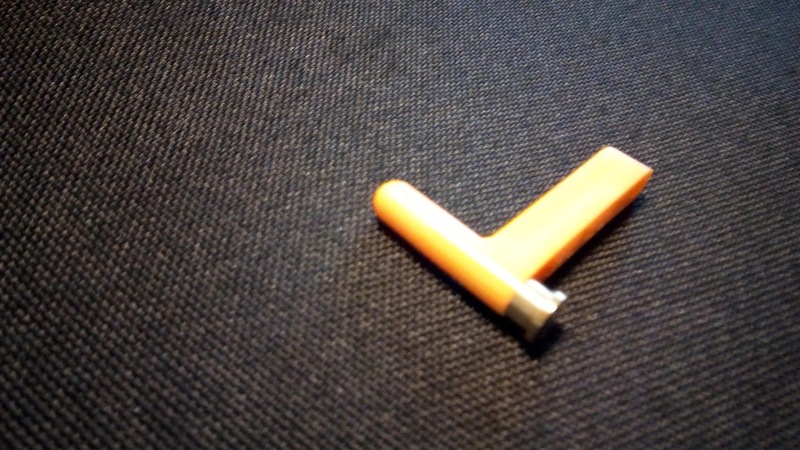 But, also the narrow (bullet) end of the device can be used to push out the takedown pins. There is also a pin which can be used to remove the firing pin retainer pin, as well as the extractor pin from the bolt. 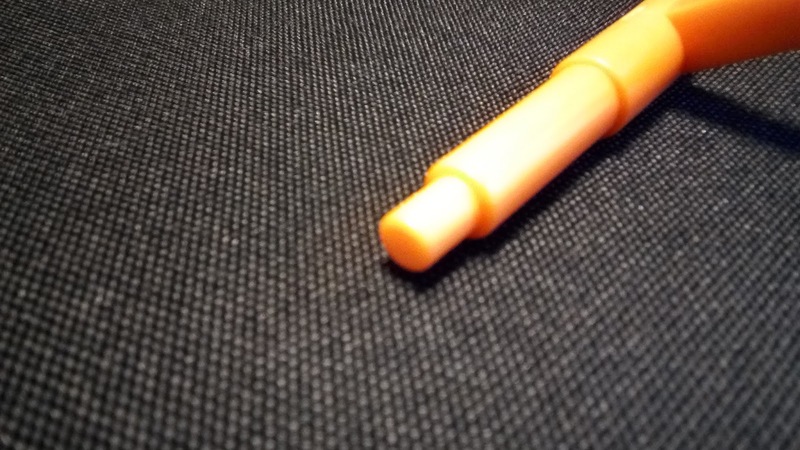 In field use the pin could be used to adjust the front sight. The multi-tool worked well as a chamber flag. Note that not all AR's have a forward assist. It is easy, however, with just a few tries, to learn to release the charging handle with enough spring pressure for the extractor to ride over the rim and into the extraction groove. It ejected without a problem. STR9ML. I tried the 9mm Saf-T-Round in a pistol and it functioned as it should. STR22. The .22 Long Rifle model did not eject cleanly in the one semi-auto pistol I tried it in. I cut a little off the bullet end, though, and then it worked perfectly. STR12P. 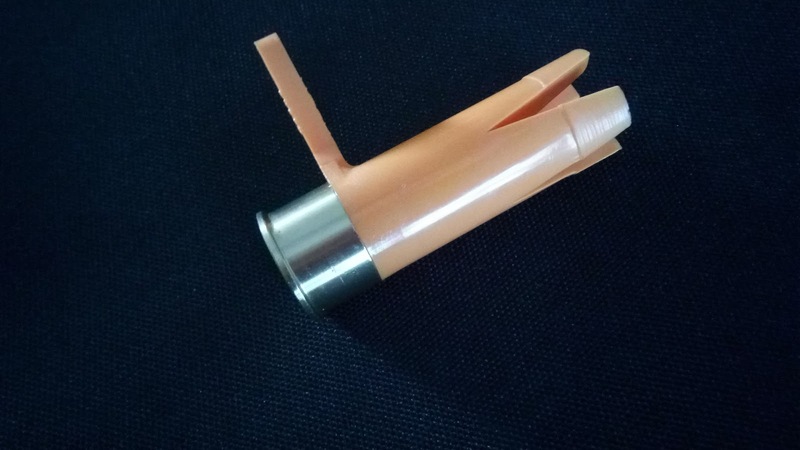 The 12 gauge Saf-T-Round I tried functioned flawlessly in a pump and an autoloader. Each family's situation is different. With small children in the home, I would regard this as an additional safety measure to having the defensive handgun in bedside safe. The home-defense shotgun or rifle with a loaded magazine, with one of these in the chamber (while locked in a safe) seems to be the ideal use. I did not try their retention strap, but I think it would be needed if using these on the range. *Hear Phil Williams's WOKI - News/Talk 98.7 Saf-T-Round interview HERE. **full disclosure: They gave me the samples, but with the understanding that I would test them and report what I found.